Just impatiently wait Guy. Did they work on the new showers this summer guy? It's gonna be a good one. I've got at least one new selfbow shooter that is planning on coming and let me tell you he's a great campfire cook. He's not to bad of a shot either. I've heard this a fun event. I might try it to make it as well. No Chris, you wouldn't like it, better just make plans to come to Marshall Missouri in July! That Northerner couldn't handle the heat eh! I'll be there again. I'll enjoy the great northern weather, you southern boys can keep that swampy stuff. Hahaha, you really think this fat boy likes to sweat like that?!?! I would rather be up north myself! I like the colder climate YA'LL! I have attended shoots here probably before some of you were born. Back in the 70's they used to hold the MBH bear shoot there. We shot at bear targets cut out of cardboard and painted black. This was Loren Willey's club if I remember right. I have some old photos of us camping in the front parking area. Back then there were several rows of pine trees but most are gone now. This has always been a great place to hang out with a bow and arrow. 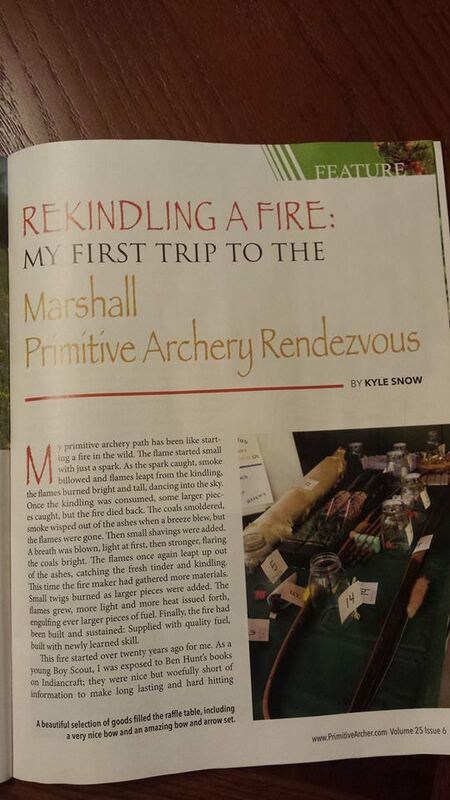 Just read Kyle's article last night in the recent issue of PA mag. I enjoyed it very much and I think he did a bang up job describing the event. Good work Badger! Page created in 0.97 seconds with 27 queries.